Barbados offers so much more than your typical Caribbean island, and behind all the white sands and great surf lies a number of fabulous cultural attractions to suit any budget or style. No matter what time of the year you’re thinking of travelling to Barbados, there’s no doubt that you’ll be able to find all the home comforts you need to have a fantastic holiday, whether you’re travelling alone, with friends or with your family. As Barbados is the most developed of all the Caribbean islands, there’s no need to worry whether you’re going to be able to find a wifi connection, or if there will be powdered milk on sale for your new born. It’s well known that Barbados has the best education system in the Caribbean, and with the island’s capital Bridgetown attracting millions of tourists every year, the hospitable locals make sure that all tourist needs are catered for. Let’s take a look at some of the best attractions in Barbados apart from the beach. The west and south coasts of the island are well developed, however if you want to see the real Barbados, you’re going to have to head inland towards central Barbados. From beautiful, lush landscapes to rolling limestone hills, this part of the island offers so much more than the typical tourist attractions, especially if you’re looking for a historical insight into the island’s past. 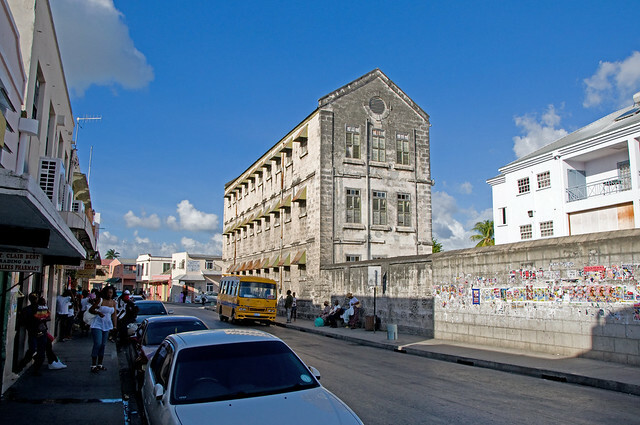 Barbados has a detailed colonial past, and the central areas of the island show elements of this in great detail. For example, take a tour of the stunning plantation homes that spread across the countryside. Not only do these show the wealth of the island’s settlers, but it also provides insight into the devastating effects of the slave trade. From museums to libraries, the brutality of the slave trade is well documented on the island, so take some time out from the resort beaches and western elements of the island, and come and see some true history. This beautiful cave, only mapped in 1974, is one of the best attractions on the island, and it was named after the land owner of where it was discovered – Tomas Harrison. Over the next few years, the cave was excavated, and a tram was installed to allow tourists to delve into the fantastic deep rock formations of is natural wonder. Finally opening in 1981, Harrison’s Cave remains a significant cultural hotspot on the island, and at only 60 Barbados Dollars to get in (per adult), it’s a real bargain! If there’s one thing to remember, it’s that the cave is not located on any GPS devices, so if you’re not careful you might miss the entrance. Included in the price of your ticket is a friendly and educational tour, and there’s also a souvenir store on the way out where you can take home some of the actual rock from the cave.